According to the calendar it's still spring, but it feels like summer in my part of San Francisco. After dropping my son off at school this morning, I wanted a city hike, but it was dripping something fierce. 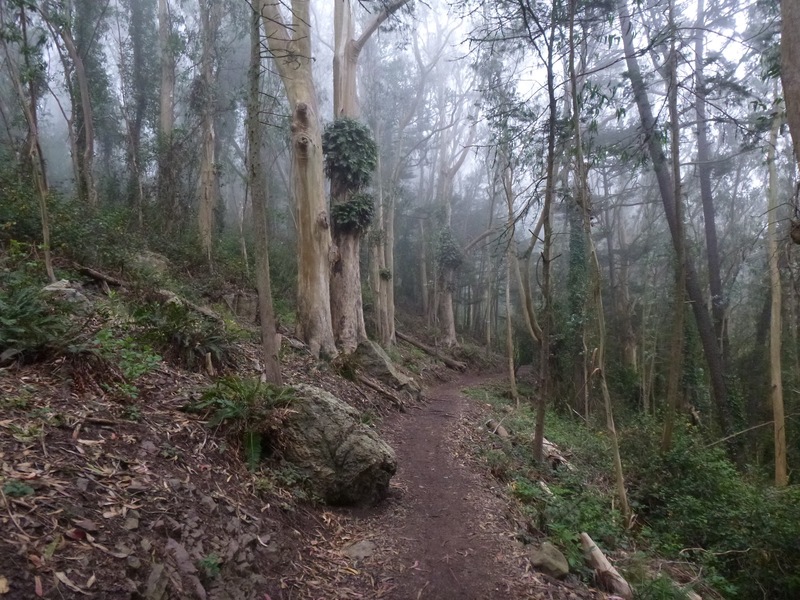 I decided tree cover would be my friend, so I headed to Mount Sutro. Parking can be tough on weekdays, but I found a space near the trailhead immediately, yay for that! The woods are lush and green and poison oak is putting on a frightening show this year. There was one leaf-laden branch dangling in the middle of Historic Trail; hope the cyclists can avoid it. On Fairy Gates and Historic trails some native flowers are blooming now, including fringecups, iris, beeplant, hummingbird sage, and cow parsnip. Osoberry is budding on Fairy Gates Trail. False lily of the valley (one large plant) is nearing peak flower state on Historic Trail. Up in the summit area the planted shrubs are thriving; it's starting to look a bit jungle-like! Since the summit is closed in by forest, this is a peaceful and serene spot. Loads of shrubs blooming up there. Thimbleberry is setting fruit. Buckeyes buds just unfolding. Lupines and poppies dot the grassy islands. 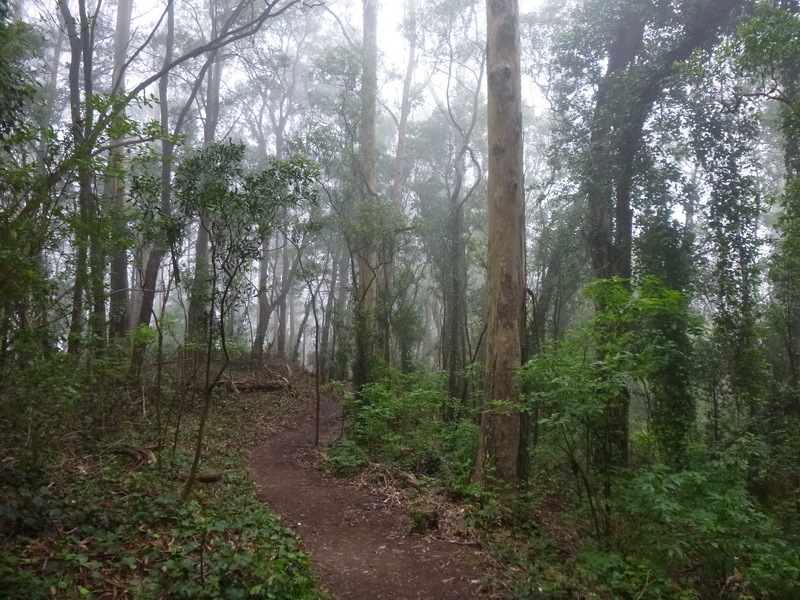 Hiking North Ridge Trail always me happy, and today is was gloriously gloomy in the fog. 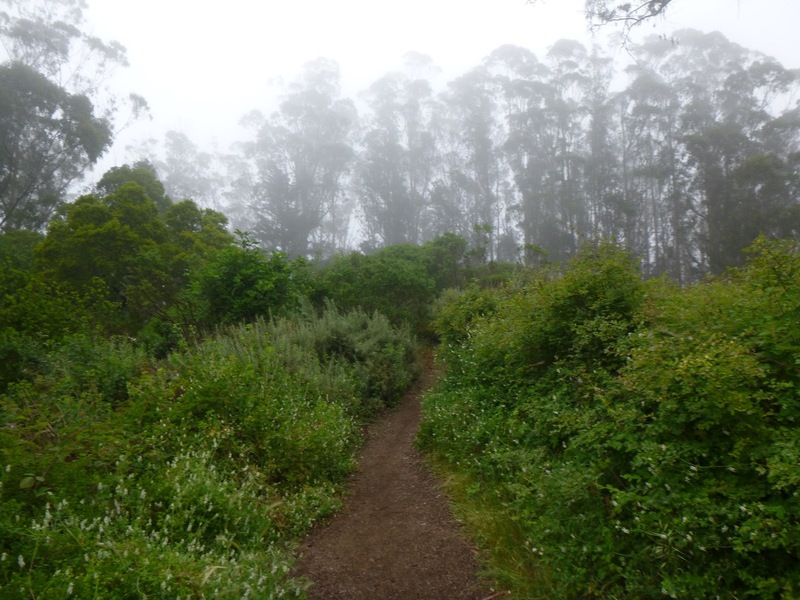 Read more about Mount Sutro here. See more photos from this hike on the BAHiker Facebook page.